1. State registration number of the theme - 0112U003184, NTUU "KPI" - 2510-f.
2. Supervisor - d.f PhD., Corresponding member of NAS of Ukraine, prof. Sidorenko S.I. For the first time the scientific basis of a fundamentally new method of forming biocompatible (titanium alloy) coating of carbon nanotubes (CNT) in polycrystalline silicon oxide layers with nickel and iron catalytic centers are obtained by CVD for implants, dentures support-the driving apparatus of human and medical instruments were developed. For the first time a model of physical and chemical processes of the composite coatings formation under laser irradiation of CNT substrates with pre-coated with a layer of hydroxyapatite powder were proposed. 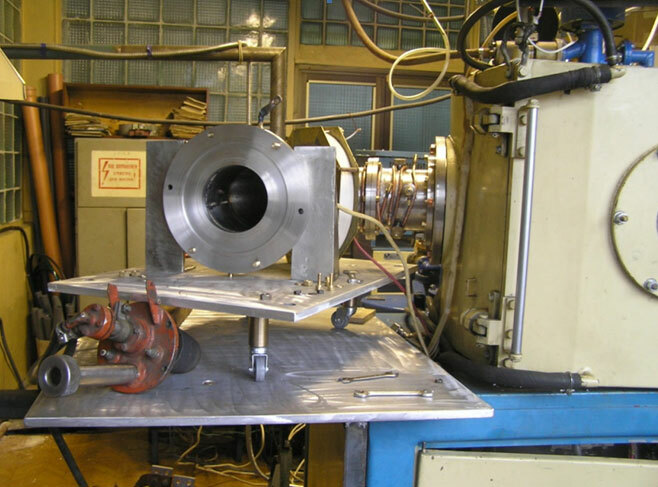 Since using the Electric-spark alloying (ESA) and Laser alloying (LA) the creation of coatings of different functions with improved physical and mechanical properties on iron alloys were proposed. In the application of new technological methods ESA and LA at complex composition saturated environments using (by two-time changes saturated atmosphere during ESA and add powdered carbides Cr3C2, TiC, ZrC, graphite in liquid environment and at the using during LA powder (TiC, TiN) and carbon-containing paste) is set the increase surface hardness alloys of iron to 4 - 10 GPa and increase durability in 4 - 8 times due to additional surface enrichment carbides, nitrides and carbonitrides. A methods of the temperature distribution calculating in the surface layer of iron alloys and changes over time at the LA were developed. The mechanism of material hardening in the area of laser irradiation at the paste presence was proposed.